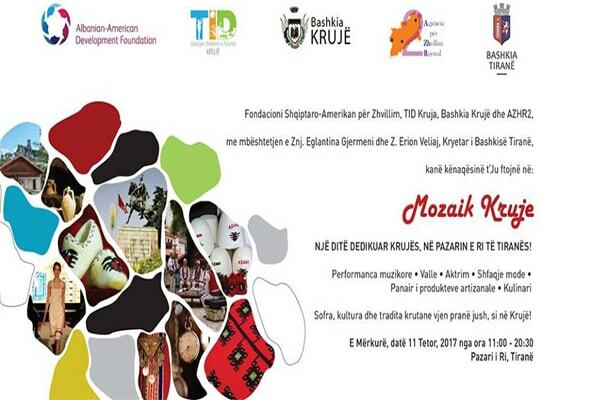 Albanian-American Development Foundation in collaboration with TID Kruja Assocation, Municipality of Kruja and the Agency of Regional Development 2, with support of Znj. Eglantina Gjermeni and Z. Erion Veliaj, organize “Mozaik Kruje” event. A day full of activities such as: music and dance performances, artisan’s product fair, culinary, traditional costumes of Kruja etc.